I am linking up yet again with The Clutter Free Classroom's Prompt of the Day Linky Party! Today’s topic: favorite picture books. 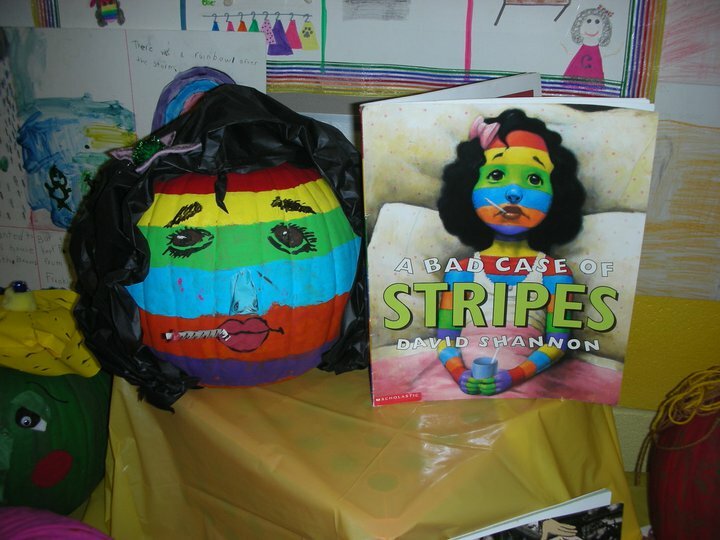 “Based on the illustrations alone, my favorite picture book is A Bad Case of Stripes by David Shannon.” There are just way, WAY too many amazing picture books to choose from but this book was honestly one of my favorites this year. This story also provides a great lesson in being unique! If you have not read this story, definitely add it to your list of “Must Reads” this year! I promise it won’t let you down! Around Halloween, my students participated in pumpkin book reports. One of my students created her pumpkin to represent this very story and let me say it was absolute cuteness. Again, LOVE this story!!! I will be posting more information about pumpkin books reports as the season arrives. Trust me…it will be here before we know it! What are your favorite picture books? Oh my gosh, I LOVE the idea of pumpkin book reports!! We usually do Book-O-Ween, in which the students dress as their book report characters, but decorating a pumpkin as a book character?!? Genius!! LOVE this book! 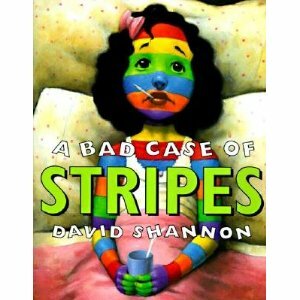 David Shannon is one of my favorite children's authors. I LOVE this! David Shannon is great and your pumpkin is amazing. Ideas are just running through my head! @Heather, yes, decorating a pumpkin as a character! Yay! I read this on a whim to my student teaching class, and I was relieved to find out that it was so good! I also love your pumpkin book reports. How fun!! I'm totally using this this year in October. I'd love a copy of what you use for the actual report as well!